Don’t miss the free guide at the end of this post with instructions on how to set up Evernote for the first time! It will walk you through the information in this post step-by-step, screenshot-by-screenshot. If you’ve been around here for any amount of time, you’ve probably noticed that I love Evernote. Two years ago I wrote a book about using it as the basis of a paperless home management binder, but I’ve been using Evernote for at least five years now. 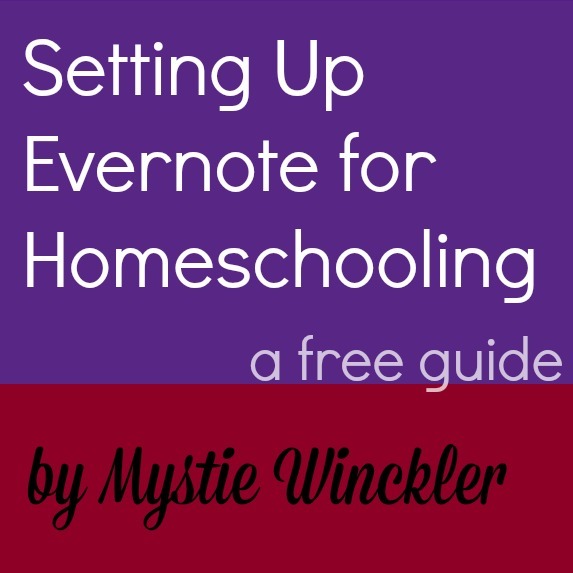 I’ve refined how I use it, I’ve talked with other moms who use it, and I’ve noticed online that there are many more people curious about it than people actually using it, so I thought it’d make a great blog series: How to use Evernote for homeschooling. Evernote is basically a digital blank canvas. It’s a bucket into which you can put anything: text notes, pictures, scans, pdfs, emails. Think of Evernote as your digital filing cabinet. Mostly it holds what has been paper in your life, but what doesn’t have to be paper anymore. Your digital filing cabinet means that you don’t have to deal with and sort through so much paper – and also don’t have to worry about losing notes, spilling coffee on them, or keeping them filed just so. Better yet, rather than remember where you put a note, you can simply search for it – “Google” straight in your filing cabinet and it pulls up what you are looking for. 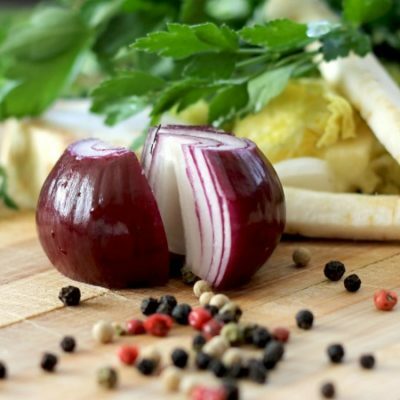 After all, being able to search, from my desktop, inside every document, my contacts, and my calendar all at once is the biggest boon of digital information. 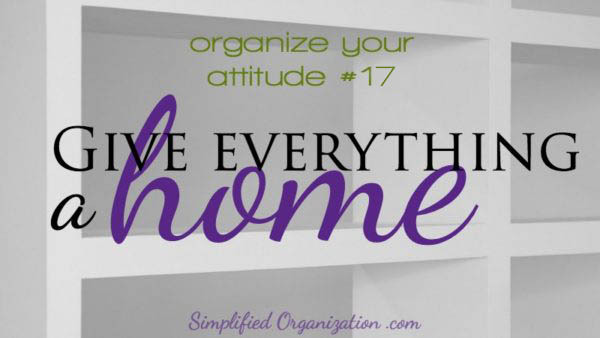 Flipping through a binder or file folder or pile, wondering just what you did with that list you are sure you made? A thing of the past. 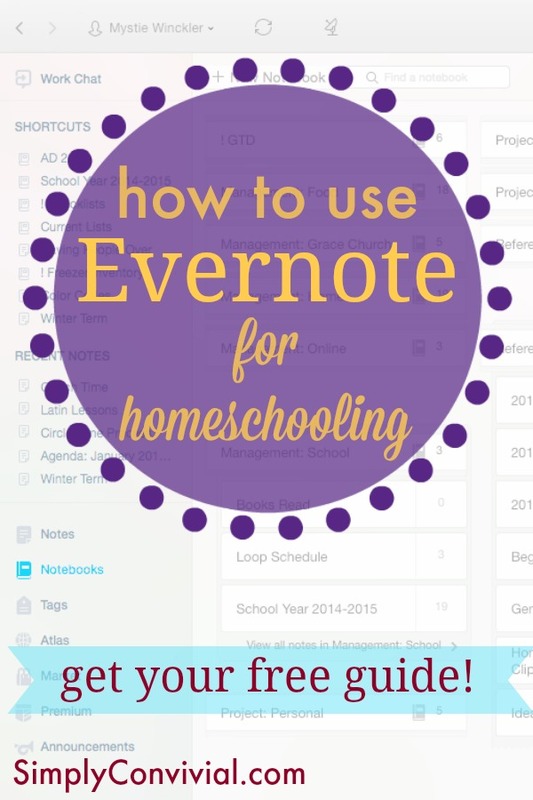 A homeschool Evernote system allows you the ability to find the information you need by searching for it, to expand the amount of information you save and generate without taking up any more space, to shrink your paper files by digitizing and then shredding them, and to easily share information with your husband, grandparents, or friends. So don’t let your gadgets go to waste; use them to make your life simpler. So, let me hold your hand and show you how easy it really is. Don’t miss the download at the end of this post with set-up instructions in a handy, compact, visual pdf! First, you will need to create a free Evernote account. Then, when you open it up, you have one big empty bucket and it can be paralyzing to know what to do next. 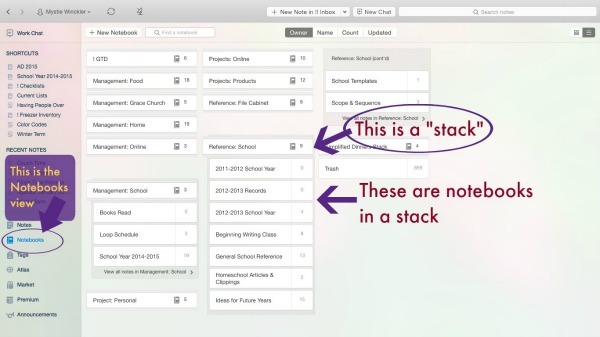 Before we get started creating your filing system, let me clarify the Evernote terminology. A note is a note – like one sheet of paper – that can hold text and images. A note is kept in a notebook, a file folder holding as many notes as you want. Notebooks can be collected together into stacks of related notebooks. So, we’ll start by creating the stacks. 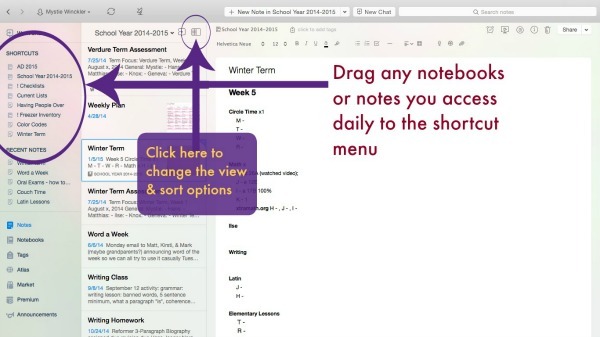 You’ll want to be in the “notebook view,” create a few notebooks, then drag them together to form a stack. You’ll want at least these homeschool stacks: Reference: Homeschool with notebooks of saved information and big picture plans, School Year 2015 for current plans and notes, and Records: Homeschool for previous years’ plans and information. For the rest of the series we’ll be creating more notebooks and notes to fill in your Evernote structure. With your Evernote installed, a few stacks created, and your shortcut menu set up, you’ll be ready to follow along with the rest of this series as we fill up our Evernote with handy homeschool plans, resources, research, and more! What do you want to use Evernote for? What are your Evernote questions? Let me know and I’ll try to address them during this series! Mystie! This is so timely for me! I am right in the middle of going through all of my paperwork…and feeling like I need some kind of paperless organization for school records. I knew you used Evernote but have not done much looking into it. THANK YOU for walking us through this! I am a paper and pencil gal. I love my lists that I write by hand. I love to type and all, but I am extremely resistant to these things that keep things on the computer for me! ;) I feel like it’s less accessible. But since this thing is FREE, I am taking the plunge and am going to try this. My brain has so much going on (yes, I’m still dumping it) that I’m feeling I might need this. It can’t hurt to try!! And I also do the folder thing in my bookmarks in my browser. Maybe this will be a better way to organize. I am hoping so, because Mystie and Sarah highly recommend it! So I’m gonna do it! Thank you for taking the time to teach us and encourage us!! Mystie, It appears that it now costs $5 to be able to access your saved notes, pins, whatever, while offline… do you think the premium membership is worth $5 a month? wondering your thoughts on this.. I cant decide. I don’t pay for the premium yet. So far when I’ve been using Evernote extensively, I’m somewhere with wifi. And even offline I can still create a new note and write, it just won’t save and sync until I get to an internet connection again. Although, on my iPod Touch I generally take notes in the app Drafts, which can be configured to automatically save to Evernote when I return to wifi. I LOVE this series btw! Thank you!!! Thank you, thank you, thank you for all the work you’re doing for this series!! Seriously so helpful. I downloaded Evernote onto my PC a few years ago and it was waaaay too overwhelming to even start to use. I love how you’ve broken everything down AND(!) that you’re using it in this series for homeschooling! EEK! Perfection. :) Thank you.